I invite you to come share my country Namibia, its wildlife, culture, wide open spaces and the opportunities to hunt and conserve some of the most magnificent game species and wilderness areas with me. I offer Plains Game hunting as well as some of Namibia’s very best Bird Hunting safaris on the Western edge of the Kalahari desert and very exciting Dangerous Game hunts in the Zambezi region of Namibia. 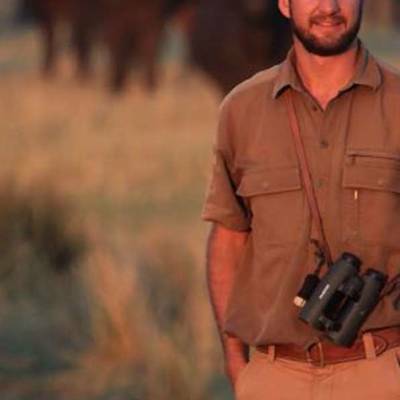 Wing shooting is normally overlooked in Namibia when confronted with the excellent Trophy game hunting for which the country is more well-known. Game birds available: Burchell’s Sandgrouse, Namaqua Sandgrouse, Red Billed Spur fowl, Helmeted Guinea fowl, Rock Pigeon, Cape Turtle Dove, Mourning Dove. We offer very exciting and some of the very best Sand Grouse hunting Africa has to offer. The wing shooting safari is 4 hunting days/ 3 night. 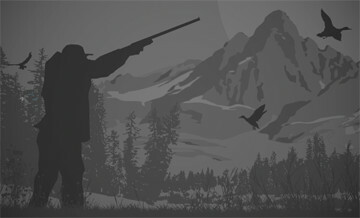 Package price per hunter for 4 days: $2,080 + 14% VAT. Please inquire or available dates. Unique hunting package for you to experience the best of both worlds. From tracking Eland with the bushmen in the Kalahari desert of Botswana to hunting Hartmann Mountain Zebra in the Khomas Highlands of Namibia. During this 10 day hunt you will have the opportunity to hunt free ranging game in their natural environment in two of the best hunting destinations in Africa - Botswana and Namibia! The package includes 5 hunting days in Botswana for 5 free range species (Kudu, eland, Blue wildebeest, Impala and Black backed jackal) and 5 hunting days in Namibia for 4 free range species (Mountain zebra, Gemsbuck/Oryx, Red hartebeest and Springbuck) with a travel day in between. The two hunting camps are only about a 4 hour road trip apart. The package includes 7 days/ 6 nights in Namibia for 5 free range species (Sable trophy, Oryx trophy, Red hartebeest trophy, Springbok trophy and Common Impala trophy). Same package on 2:1 - $13,000 per hunter. The package includes 7 days/ 6 nights in Namibia for 5 free range species (Sable trophy, Oryx trophy, Red hartebeest trophy, Springbok trophy and Common Impala trophy). Package price on 2:1 - $13,000 per hunter.